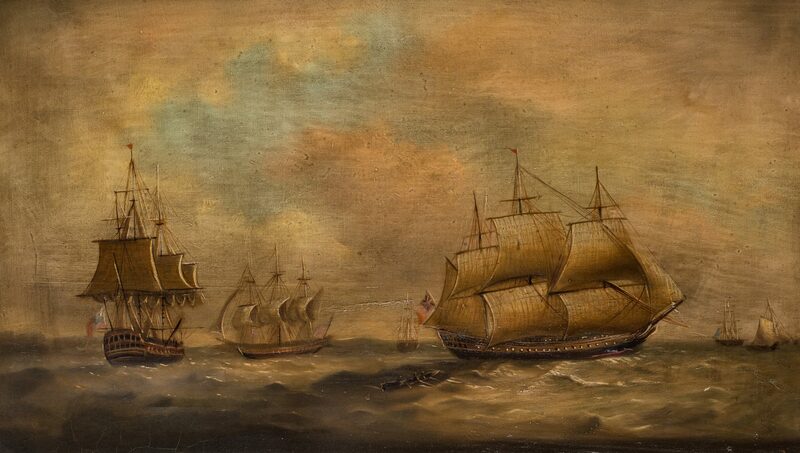 British or Continental School, 19th century, oil on canvas nautical painting depicting six ships with a rowboat, foreground. Signed FIRTH C58 en verso, inscribed Gomsay Castle NW in pencil, top stretcher of frame. Housed in a decorative gilded frame. 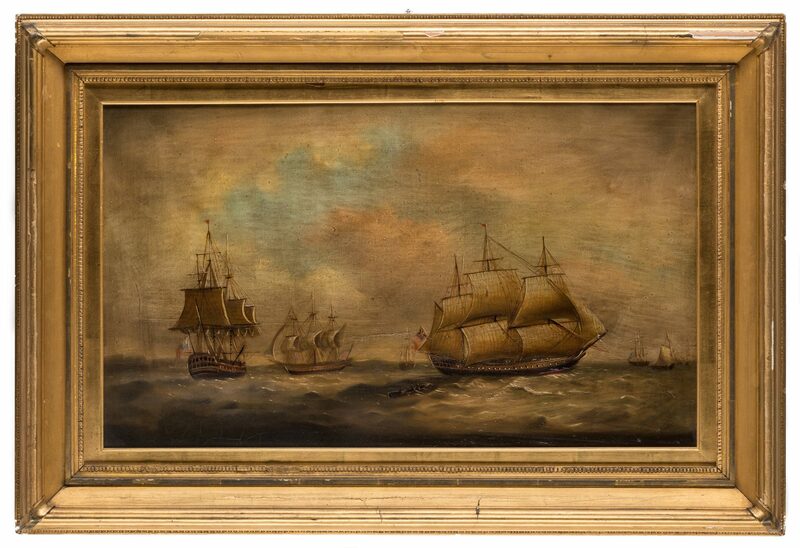 Sight – 13 3/4" H x 23 5/8" W. Framed – 21" H x 30 3/4" W. Second half of the 19th century. Provenance: Living Estate of John and Donna Rogers, Greeneville, TN. CONDITION: Overall surface grime and aged varnish. Slight draw to center of canvas. 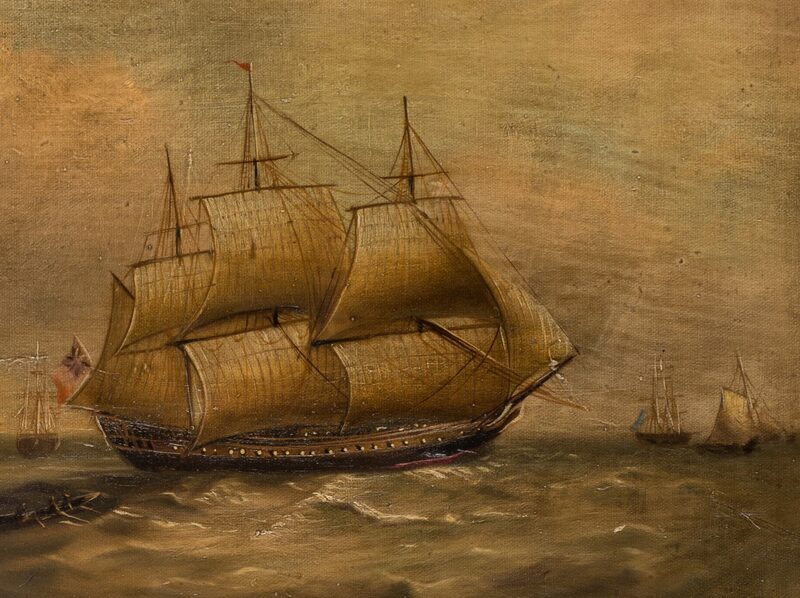 Areas of craquelure, lower left of canvas. 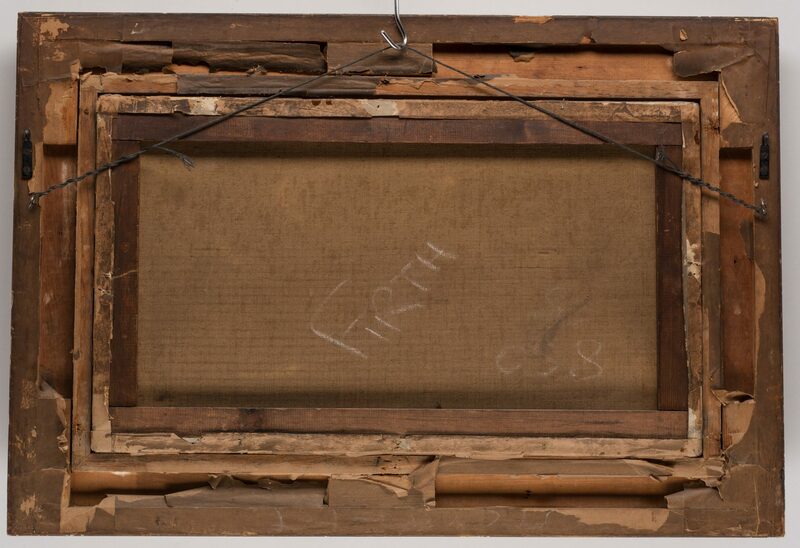 Frame has areas of loss to gilding, largest 2", at edges.